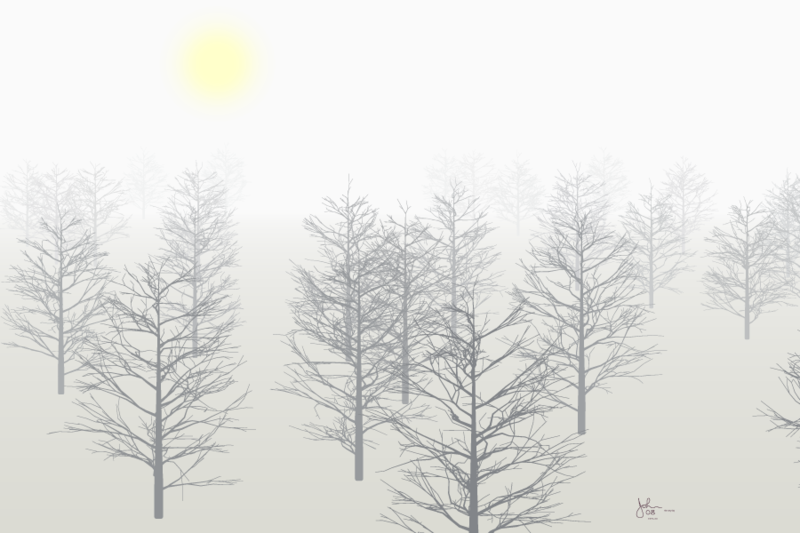 Imagine a winter morning in Minnesota with ground mist. This happens fairly often on a clear night as the ground cools more rapidly than the air. The light from the rising sun filters through the mist providing light but only blurry images. As the viewer looks around the trees and other objects get blurrier the farther away they are. The horizon is also obscured and is not the sharp line that one would seen on a clear day. This image captures such a viewpoint.